I’m looking for a few test knitters to knit my newest design in the works, the Ruffle Kerfuffle scarf and/or the related Kerfuffle Cowl. These are knit in the round in a heavy worsted weight (Malabrigo Worsted Merino). Both are knit from color charts; there are only two colors per round. The cowl is pretty straightforward. The scarf? Knit in the round and steeked! Are you feeling…adventurous? I have a limited amount of yarn in appropriate colors, or if you have stash yarn in colors you like better, that would work, too. The project requires one variegated and one coordinating solid or semi-solid color. Malabrigo Worsted Merino is perfect; I think KnitPicks Chroma would be gorgeous, too. I’d like the project done in 1-2 weeks. If you’re interested in test knitting for me, either this project or another, let me know in the comments and I’ll contact you. (Scarf? Cowl?) I can’t offer you diamonds, gold, or even yarn, but you’d have access to a new design that will be fun to knit, and you get to keep the final project. 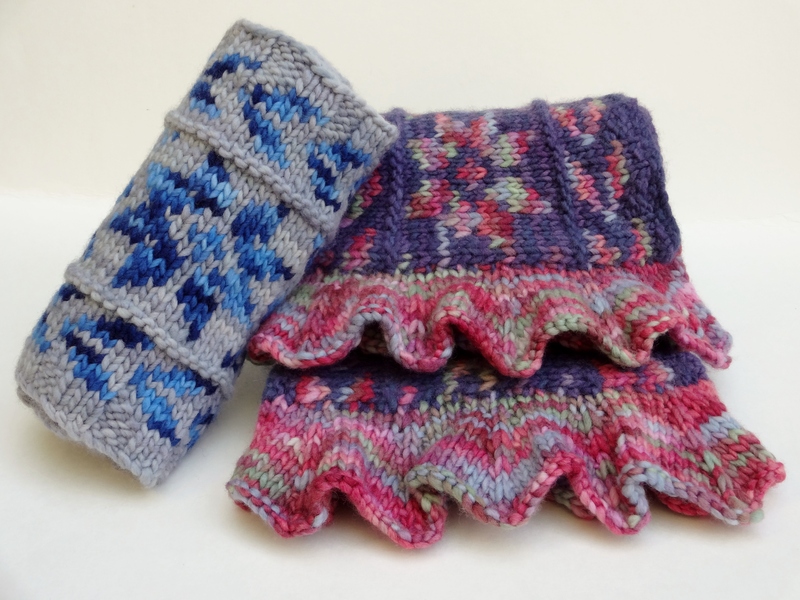 This entry was posted in Knit, pattern design and tagged kerfuffle, test knitters. Bookmark the permalink. I’d like to test the scarf. I have a couple of colors of Malabrigo that might work, I’ll take a look. I could do the cowl if you need someone. I’m game for either one. I used to be a test knitter for Knitpicks. I’m so happy with my little steek project! Wish you could knit for me. Next time!